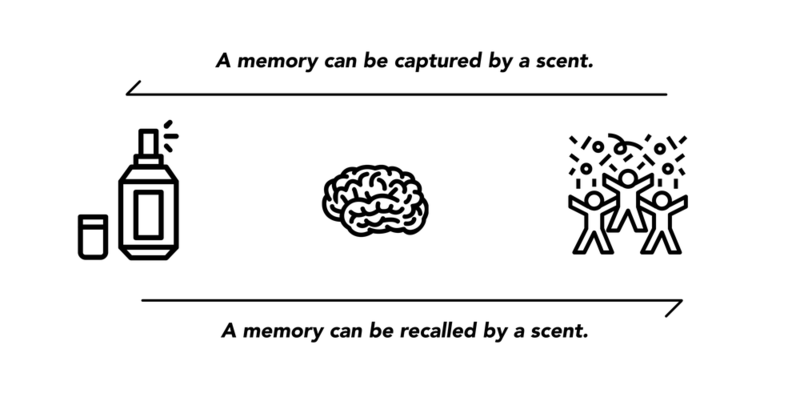 How might we transform our memories into scents? 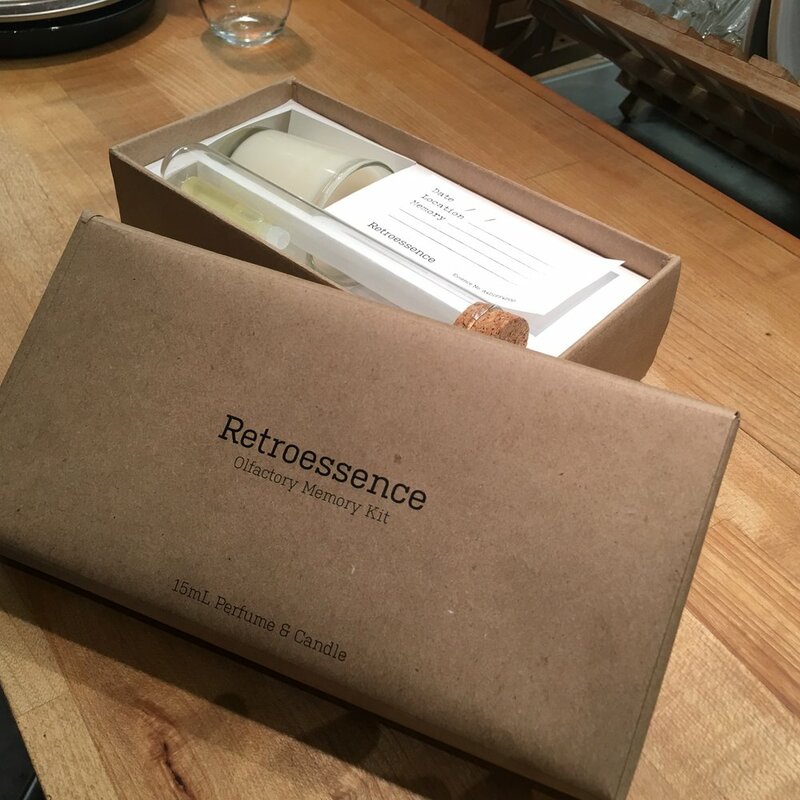 Retroessence Olfactory Memory Kit is an experience design exploration in scent and memory created by Louis Elwood-Leach and Jingting He. When you open the kit, the room will fill with a beautiful aroma you have never smelt before. Moments can be captured. Honeymoons, vacations, celebrations - this moment is captured, forever in association with the scent. 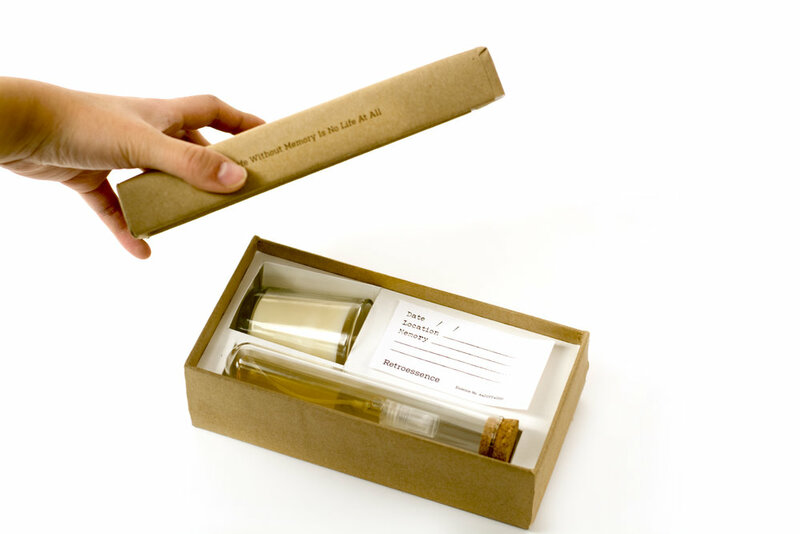 The kit contains a perfume bottle, scented candle and note card. After noting the memorable event on the card the memory can be recalled with a spray of perfume or by filling the room with the scent of the candle.